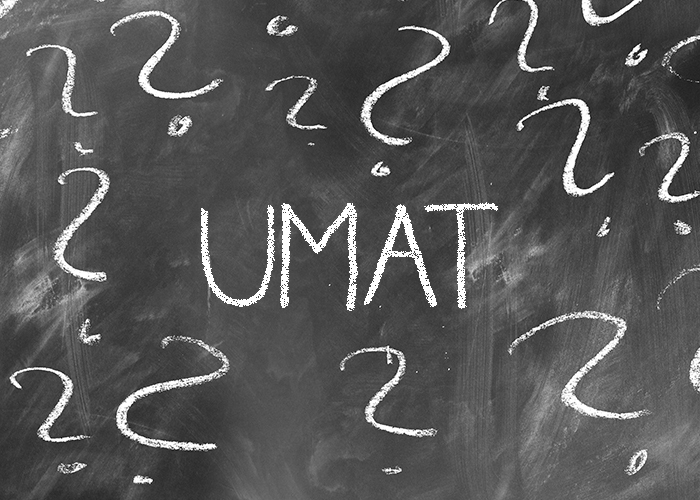 In this article, we’ll tell you everything you need to know about the UMAT. Let’s begin. UMAT stands for the Undergraduate Medical Admissions Test. 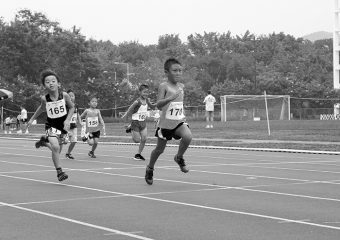 It is held annually on the last Wednesday of July. As its name suggests, it is used as an essential selection criteria for students looking to enter Medicine and the Health Sciences degrees. Without a high UMAT score, you will not be able to enter these courses. Without a high UMAT score, you will not be able to enter these courses. Note: Universities look across all three criteria – ATAR, UMAT and the Medical Interview. A higher UMAT can offset a lower ATAR, but you will still need to do relatively well in both of them. Who Needs To Sit The UMAT? Every year, MedStart publishes a UMAT Admissions Guide that outlines the exact courses that require the UMAT and requirements for those courses. How Is The UMAT Structured? 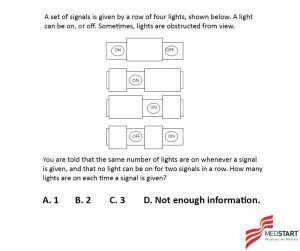 Construct 1: Logical Reasoning and Problem Solving. The exam is 3 hours in total, with 10 minutes of reading time. Each section is different, with different types of questions. This section tests your ability to analyse information, evaluate relevant facts, generate and test plausible hypothesis and draw logical conclusions. There are wide variety of question forms. 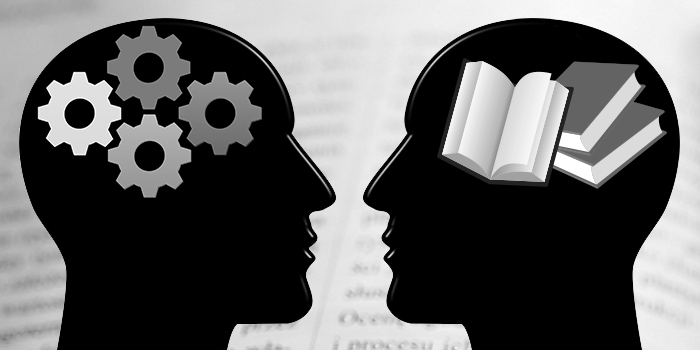 Problem Solving Questions ask students to solve a logic game or “puzzle”, given certain conditions or clues, whilst logical reasoning asks students to draw conclusions and evaluate arguments based on stimuli material of a general scientific nature. This section tests your ability to analyse information, evaluate relevant facts, generate and test plausible hypothesis and draw logical conclusions. The stimulus can include passages, data interpretation (charts and tables), and scientific experiment. This section tests your ability to reason based on specific information. 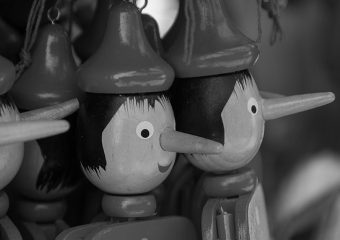 This section tests your understanding of people and their emotional intelligence – or “E.Q”. 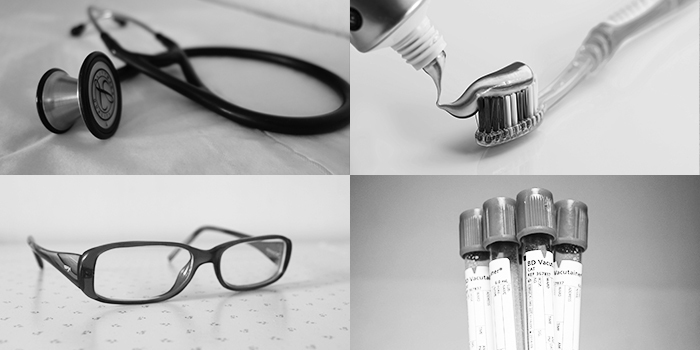 Section 2 of the UMAT tests your emotional sensitivity – a skill deemed necessary for all health professionals. Typically, a passage is given, which represents a specific interpersonal situation, a dialogue between doctor and patient, or reflection of a person who is dealing with illness. The student is asked a series of questions that require him/her to identify, understand and infer the thoughts, feelings, or behaviours of the people in the situation. 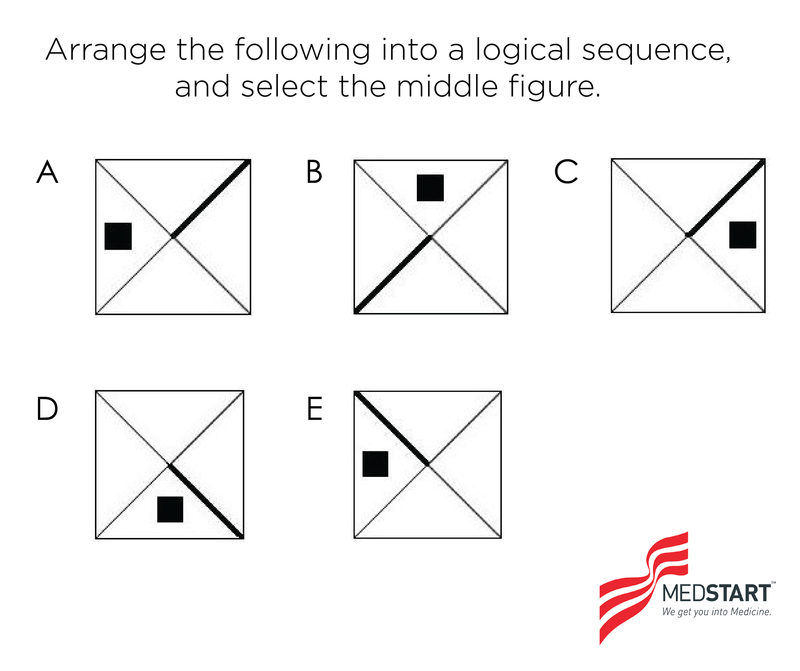 This section tests your abstract reasoning with a series of non-verbal diagrams. Section 3 is primarily pattern based, and most similar to typical IQ and spacial reasoning tests. Students will be asked to visually identify sequences and patterns, and it is designed to test your ability to draw conclusions in non-verbal contexts – an indicator of on-the-spot or “fluid intelligence”. Why Is The UMAT Necessary? According to ACER (the organisation that administers the exam), the UMAT has been deemed necessary because there are “far more academically qualified applicants than there are places in such courses”. Simply put, the demand of students looking to study Medicine and the Health Sciences is greater than the supply of places offered by the Universities. In the past, selection was based purely on academic criteria. This led to a situation, where for better or worse, students had to score the top 1% in order to get into courses such as Medicine. In NSW, students needed an equivalent ATAR of 99.75 for admission, regardless of whether students possessed the other characteristics needed to become good health practitioners. Simply put, the demand of students looking to study Medicine and the Health Sciences is greater than the supply of places offered by the Universities. Hence, the UMAT and Interview in theory, helps Universities select students on a multi-dimensional level to avoid biases that may arise if selection were based solely on academic merit. What Is The Difference In Exam Style Between The HSC/VCE And The UMAT? UMAT is a skills-based exam whilst your school leaving exams (Mathematics, English, Sciences etc) are primarily knowledge based exams. 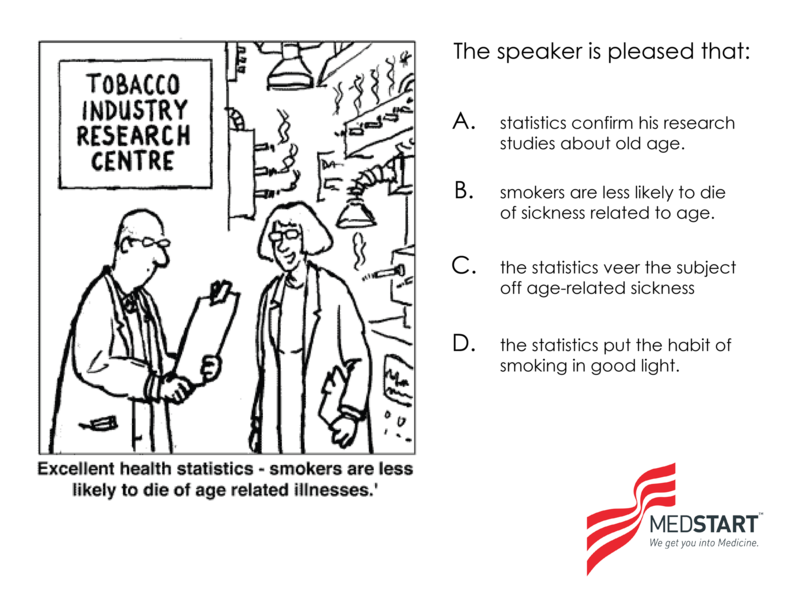 Knowledge based exams test your memory and reasoning skills. For example, in Mathematics and Science, you will need to recall formula in order to apply it correctly. In such exams, memorisation plays an essential part in scoring top marks. 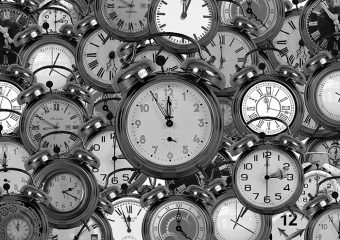 Time management is a critical factor for success in UMAT. Most school leaving exams are designed so you can always complete the exam. However, UMAT is specifically designed so that you will not be able to complete the exam. Knowing how to do UMAT questions is very different to knowing how to do them quickly. Doing questions quickly is a source of competitive advantage in the UMAT. What this means is that it is extremely beneficial because to not only prepare for the UMAT, but to start your UMAT Preparation as early as possible (yes, even Year 9 students)! The UMAT is one of the hardest exams you will ever take, but it’s essential to take it if you have any interest in getting into Medicine or other health-related university courses. With proper UMAT preparation, it’s also not something to be scared of! Check out our other UMAT Hack articles for some tips on how you can best prepare, and perform on test day!